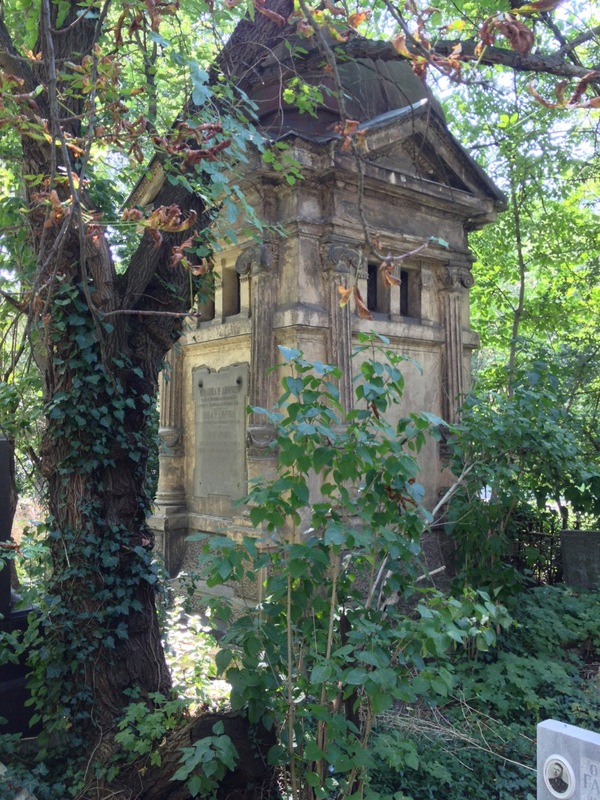 Does your trip itinerary include visiting a cemetery? For some, this suggestion may sound ridiculous or disturbing. 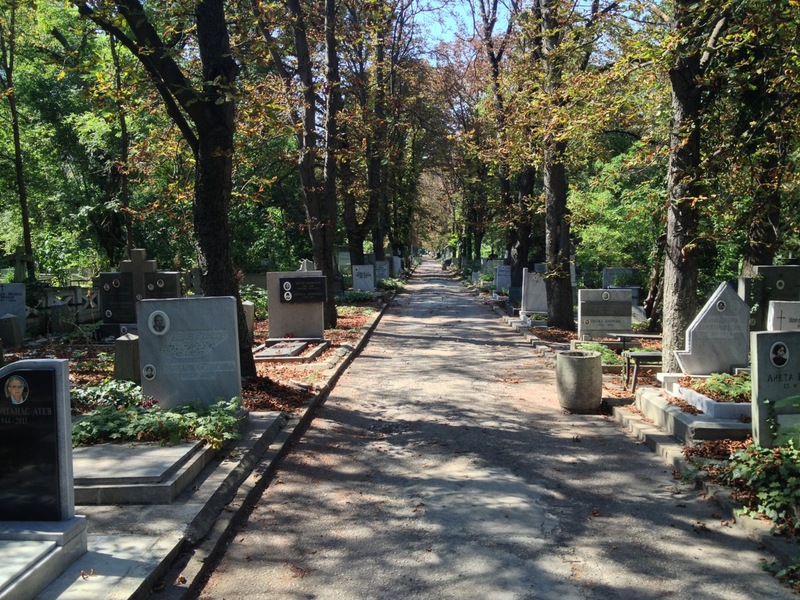 Most westerners view cemeteries as emotional and solemn places meant for mourning. 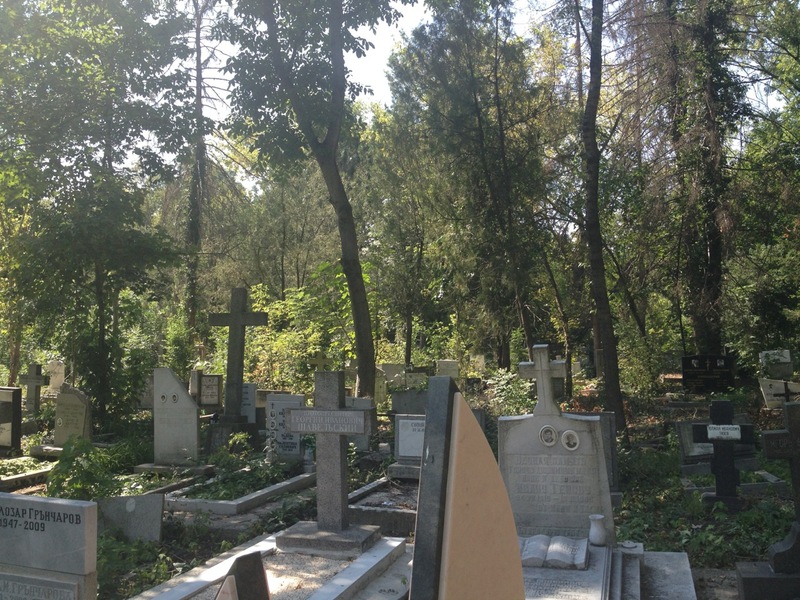 However, cemeteries are also part of cultural heritage, traditions and history. They provide unique examples of architecture, sculpture, landscaping and even literature. 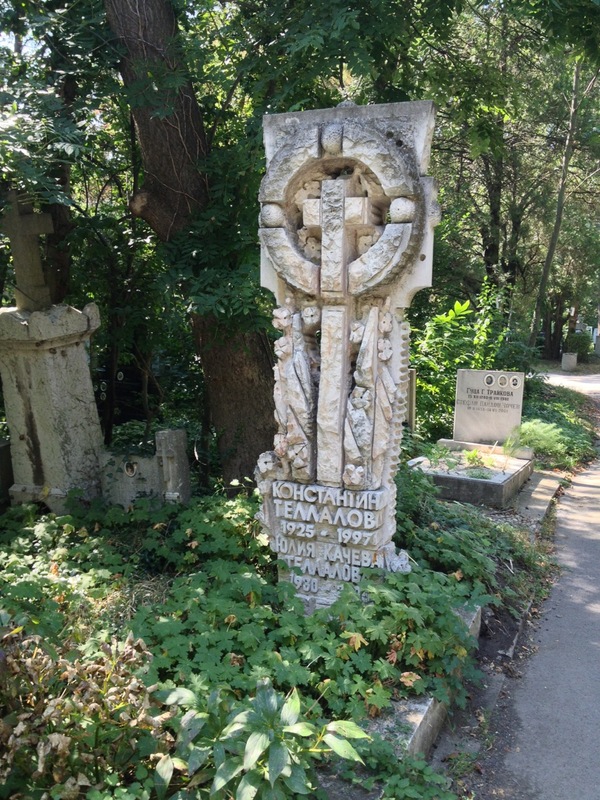 Tzentralni Sofiiski Grobishta (Central Sofia Cemetery) is the main cemetery in Sofia. As such, it is the final resting place for politicians, soldiers, celebrities and mere mortals alike. 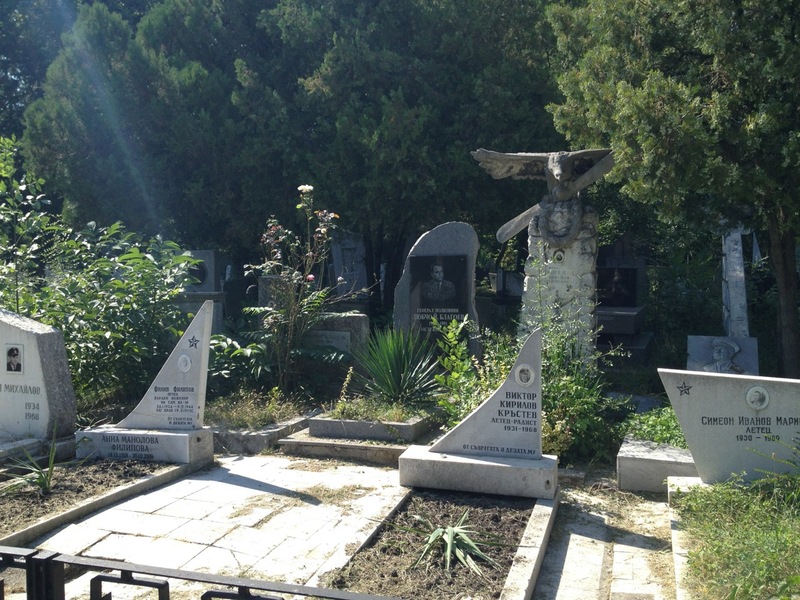 The cemetery is enormous and consists of sections designated to different religions, WWI and WWII military sections with even more granulated plots. 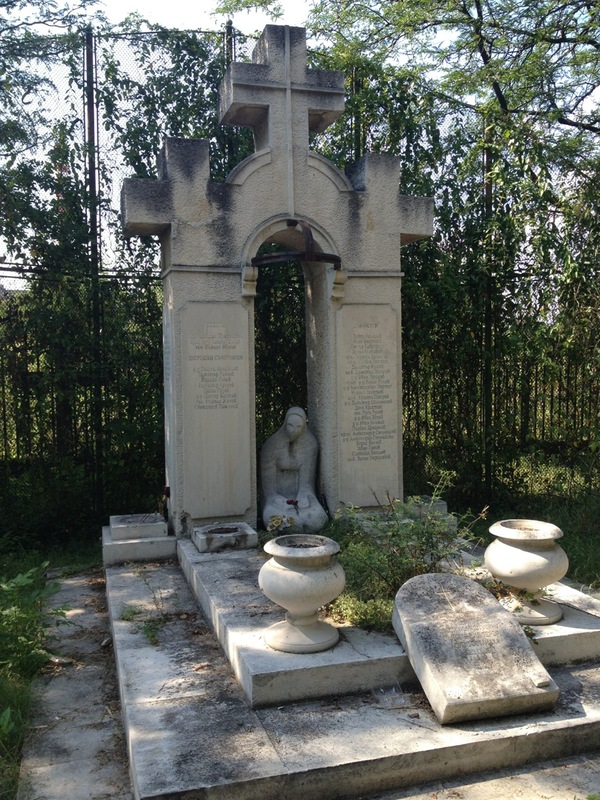 Online sources of information about the cemetery are rather scarce and there is no detailed map. The InYourPocket guide is arguably the most useful and gives generic outline of the composition of the cemetery. Our visit there began with an unimpressive walk through a fairly rundown industrial part of Sofia. It was a clear reminder of the current economic state of Bulgaria and was not much different than what we saw in Spain. 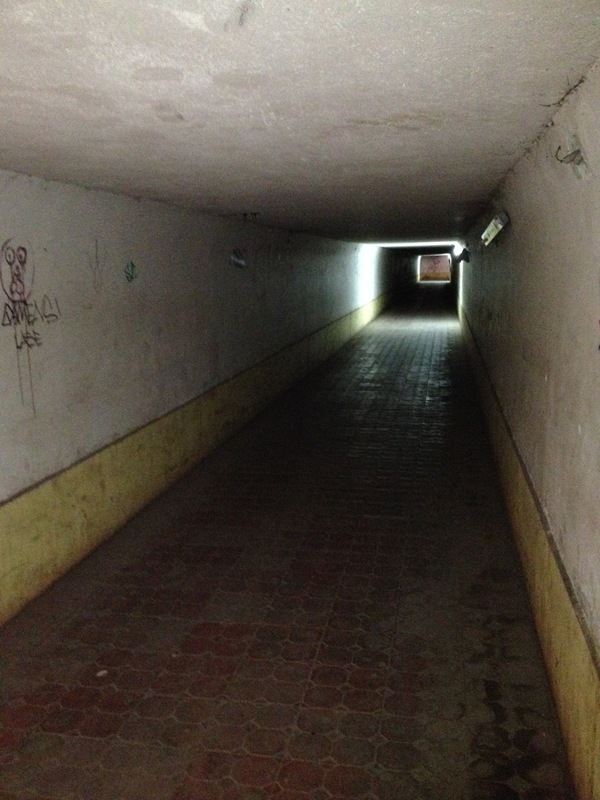 The only mildly exciting exception in this dreary cityscape was a long dark tunnel crossing under railway depots. Surprisingly, it was free of graffiti, which is abundant everywhere else in Sofia, smells or garbage. Evidently, it was simply too dark for any activity there. Warehouses morphed into flower stands, stone carving shops and other businesses expected to be found next to the cemetery. Finally, we were through the main gate, where a bored-looking burly individual was sitting on a chair next to the gate and collecting a 2lv entrance fee from entering cars. Car-less visitors are not subjects to any fees. 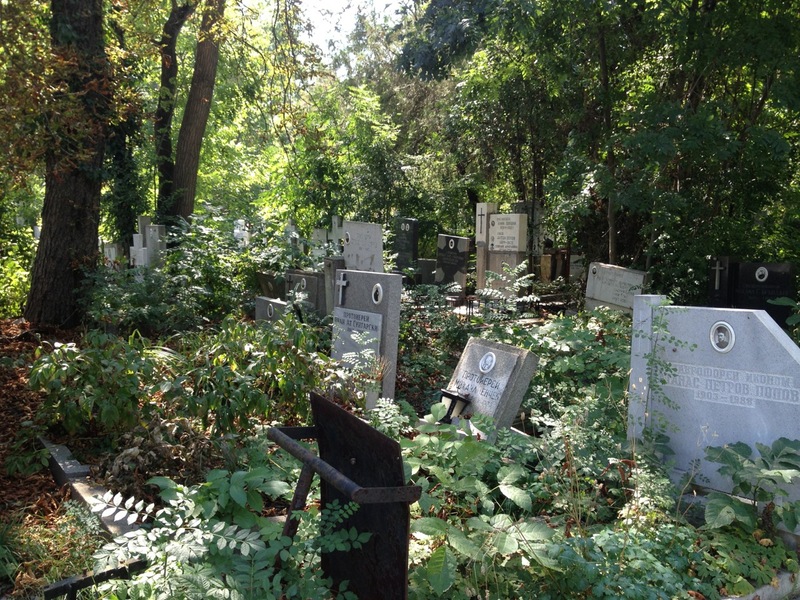 We’ve seen a fair number of cemeteries around the world. Some were old and abandoned, others in use and active, but this was the first time when the place felt… desolated, devoid of soul if you will. 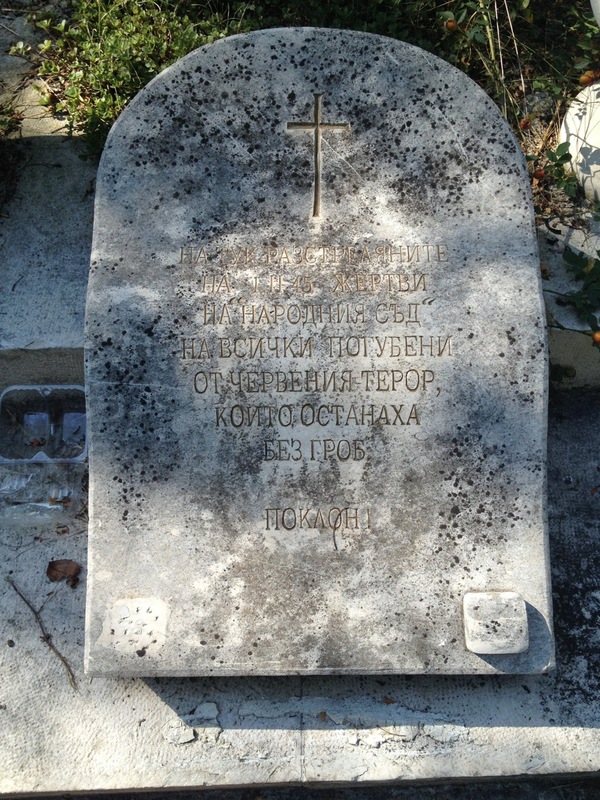 Granted, we went off-the-beaten-path so to speak: not the plots mentioned in guides, such as military burials or tombs of well-known Bulgarians, but walked about where common folks found their last destination. Despair rules there. Walking paths were not tended to for years: there are some remnants of pavement, but we were lucky that last big rain happened more than a week ago. 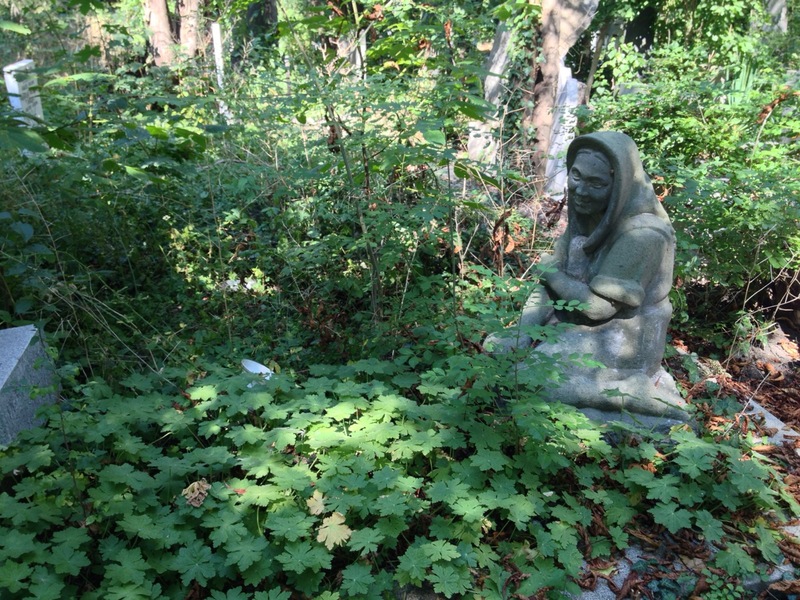 Garbage is strewn around and even spills into graves. Some tombstones are gone leaving gaping holes, others are tilted or fallen down. We walked by a columbarium which was either vandalized or in such disrepair that plaques were missing and funeral urns were left facing open air. Next to this Columbarium, there is a monument commemorating victims of червения терор (Bulgaria’s Red Terror) that were executed by firing squad on that place. 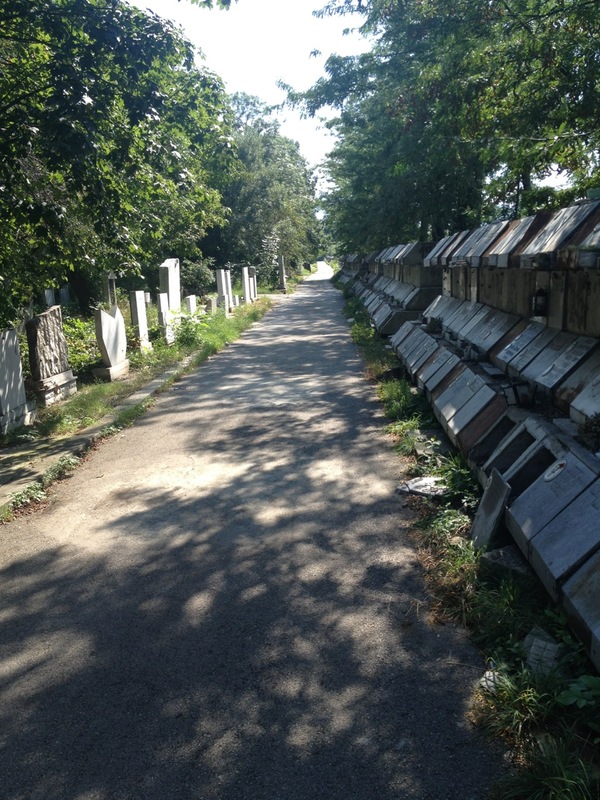 The density of graves is striking. There is literally no space between them. I have no idea how visitors can get to the graves located away from walking paths in a dignified manner without stepping on neighboring graves. The strangest thing is that this cemetery is fully functioning. There are signs of very recent burials where soil is so fresh it hasn’t even settled yet. We saw visitors tending to graves of their relatives. 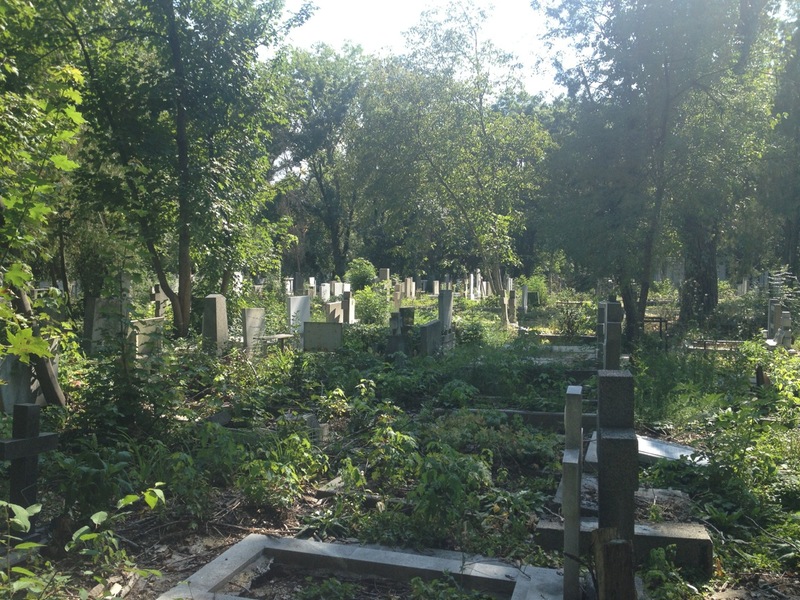 Nevertheless, it looks like nobody cares about the cemetery in its entirety. Dispirited, we decided to leave, but on the way back, by pure accident, discovered the airmen plot. It was closed for random visitors but looked well-maintained in a contrast to common folks plots. When I first moved to Europe it was to explore my heritage, and I got together with some “lost” relatives. 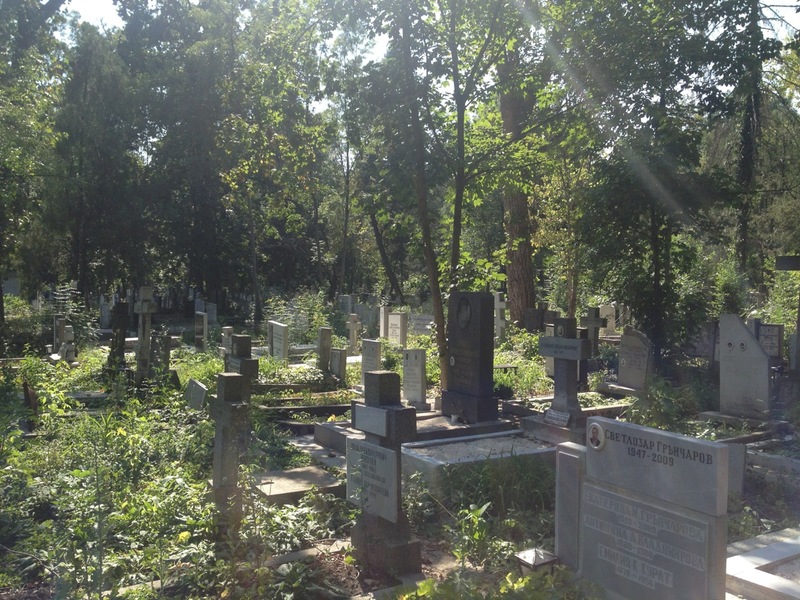 They didn’t speak English and I didn’t speak Czech, so it was with surprise that on that first day visiting with them we suddenly arrived at a cemetery, and then I think you can imagine my wild emotions when, after wandering around for a while, they stopped at one site and pointed and just said family! I suddenly realized I was looking not at some “strangers” grave, but at that of my family and roots. Definitely gave goosebumps. Great story! Discovering your heritage is such a heartwarming experience.